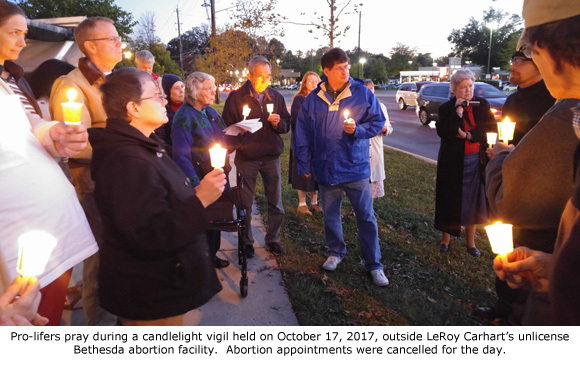 Bethesda, MD – A well-attended press conference and candlelight prayer vigil were held by pro-life activists at the Wildwood Medical Center in Bethesda, Maryland, where abortionist LeRoy Carhart had planned to conduct late-term abortions beginning yesterday. However, after it was reported by Operation Rescue on Friday, October 13, 2017, that Carhart had not obtained an abortion facility license as required by law, his office cancelled all abortion appointments set for yesterday. At the end of the press conference, Lauren Handy of Mercy Missions DC, announced that all abortion appointments were cancelled. 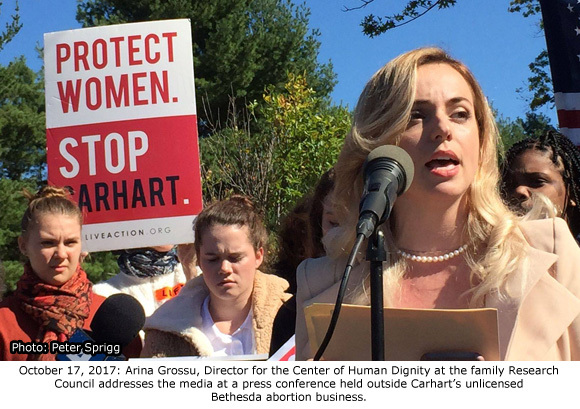 Chelsea Soulder, Carhart’s clinic administrator at his Bellevue abortion business, was at the Bethesda office yesterday where she denied that any abortion appointments were cancelled when asked by reporters. However, Operation Rescue has proof on file obtained from an ongoing undercover investigation that abortion appointments were indeed cancelled, and that Carhart’s plans to abort babies of “advanced gestation” have been thwarted for now. 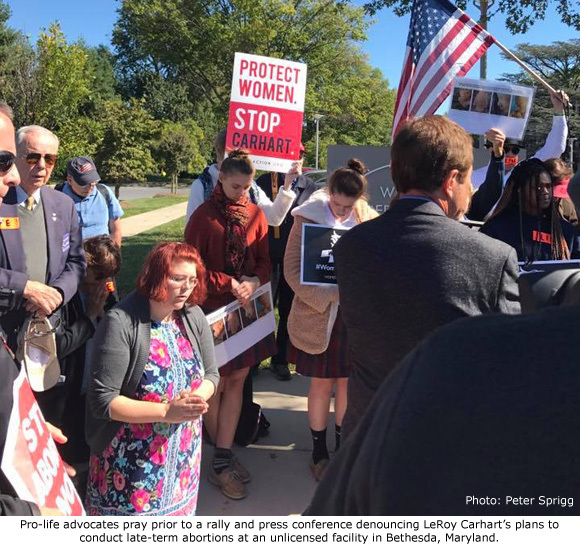 Operation Rescue is grateful to all the wonderful people of Maryland and Washington D.C. who have worked tirelessly over the past few days to raise the alarm about Carhart’s illegal abortion plans. Those efforts will continue until Carhart is out of business in Maryland for good.